PCB Christmas Arche (PCB-Schwibbogen) based on an classic old scene from germany. 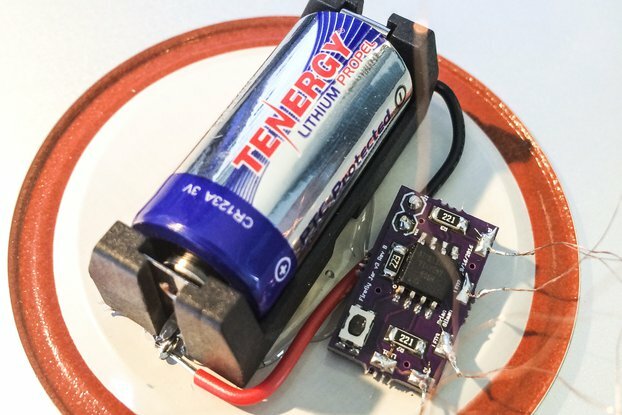 This is a kit you have to solder together on your own. 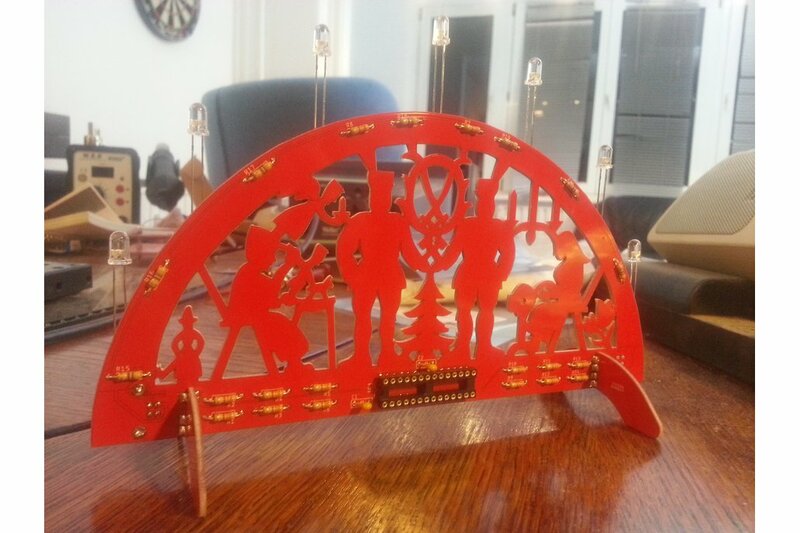 This is a soldering Kit for a classic Christmas Arch also known as "Schwibbogen". All parts and PCBs are included. The microcontroller is preprogrammed. For the power supply you will need a USB-B cable and a USB power supply, which are NOT INCLUDED into the kit. To make a more "candle like" light each LED is controlled by two pseudo random number generators (PRNG). The LEDs increase and decrease the brightness random. 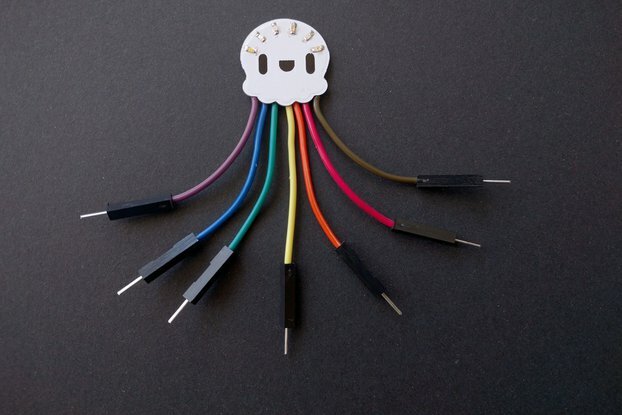 This creates a flicker in every LED and imitates candle light. Traditionally Christmas Arches are made from wood and are equipped with candles. 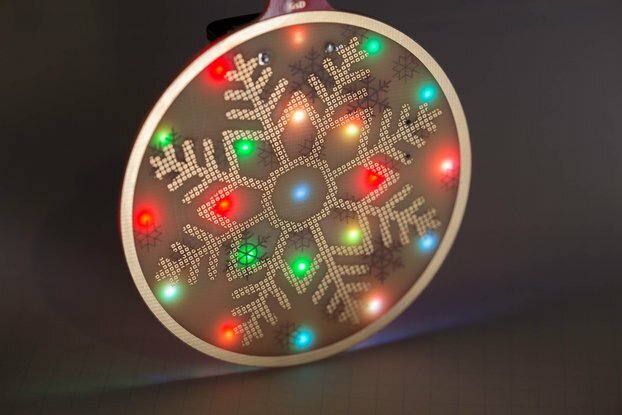 But this one is completely made out of PCBs. The candles are replaced to by LEDs. A microcontroller for the PRNG is directly soldered onto the ache.